DARE-DARE offers a place to share the documentary resources of the center with a wider audience and to offer micro-projects programming related to writing, poetry, reading, books and libraries. 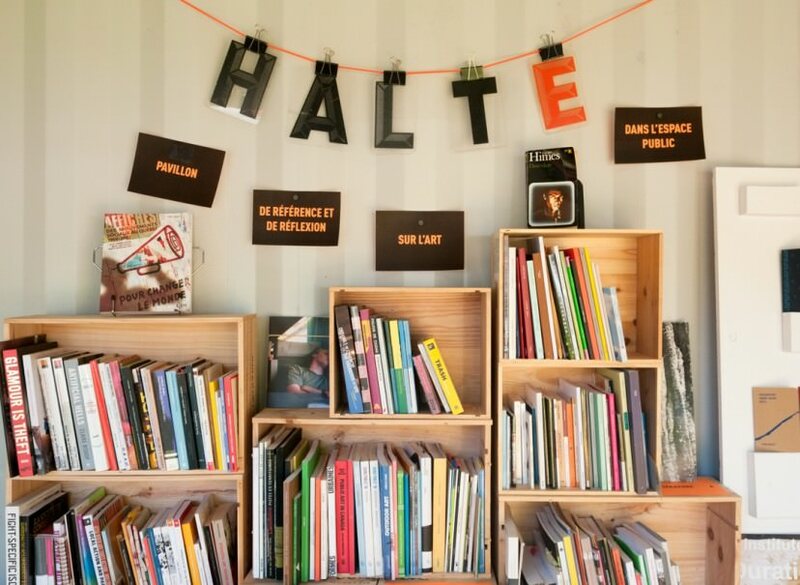 HALTE — Pavillon de référence et de réflexion sur l’art dans l’espace public (also known as the Documentation Center) wishes to promote accessibility to documentation, in order to propose a selection of documentary tools paying particular attention to public art and contextual projects. You will find a selection of publications dealing with art in the public space, art and politics, architecture, design, town planning, the appropriation of the city and the territory and Moreover! All publications are available on-site consultation only. For researchers, it is possible to set aside publications of interest and you may also take material into our trailer to view in a quiet space. Need more information? Please contact Hugo Nadeau 2 at info@dare-dare.org. for the establishment of this center.